Joe DeMarco is a lawyer who works on Capitol Hill. His official title is “Counsel Pro Tem for Liason Affairs.” In reality, he is a bagman for Congressman John Mahoney, a fixer who gets things done off the record. The adventures of DeMarco have kept readers entertained for 8 books before, so clearly this is the book where Mahoney fires him. This is also the book that gives DeMarco’s backstory. In fact, it starts a generarion earlier with his father, Gino DeMarco, a “property manager” and hitman for mob boss Carmine Taliaferro. Gino was killed when Joe was in college. But Joe is an adult before he finds out who did it- and decides to exact his revenge. Cue all the story elements that keep readers coming back to Lawson novels: murder plots, stakeouts, guns, hit men, and blackmail. The familiar characters of Emma (elusive former DIA agent) and Neil (reclusive hacker and information specialist) play important roles, as always. Lawson’s Joe DeMarco bookss aren’t quite spy novels- all the intrigues are strictly domestic. They aren’t quite detective stories- DeMarco enables more crimes than he solves. But as political thrillers, they are solid and fun. 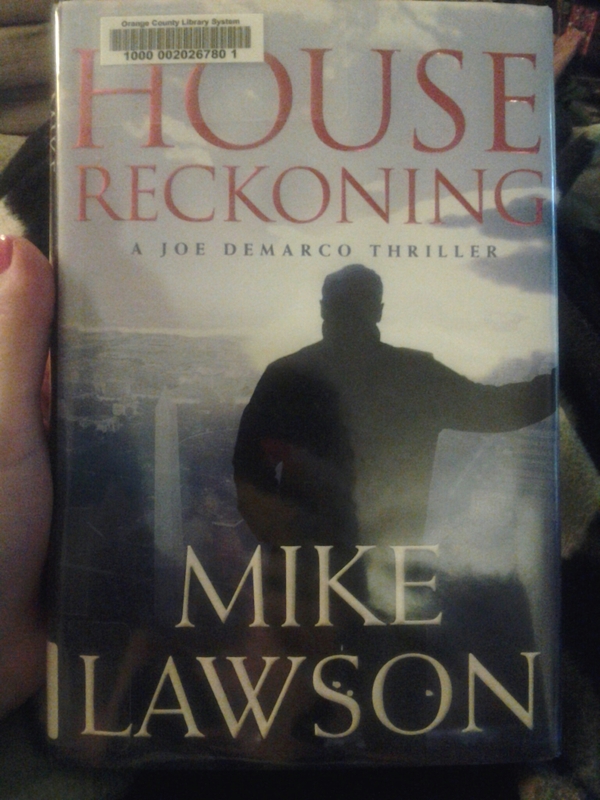 A DeMarco novel is a promise of a good read, and House Reckoning does not disappoint.